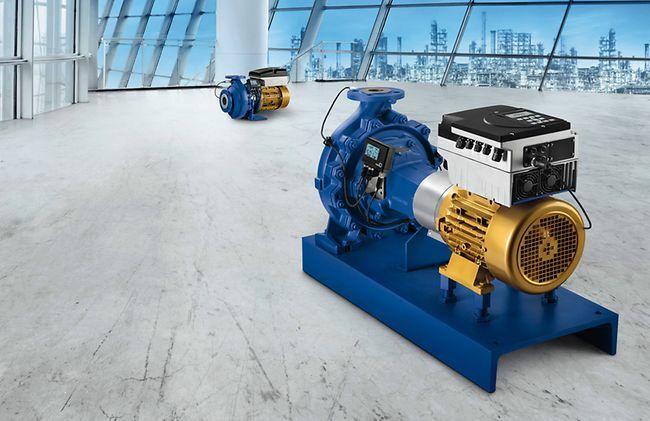 PumpDrive is the latest generation of KSB’s variable speed systems. It ensures demand-driven pump operation and, hence, maximum energy savings. 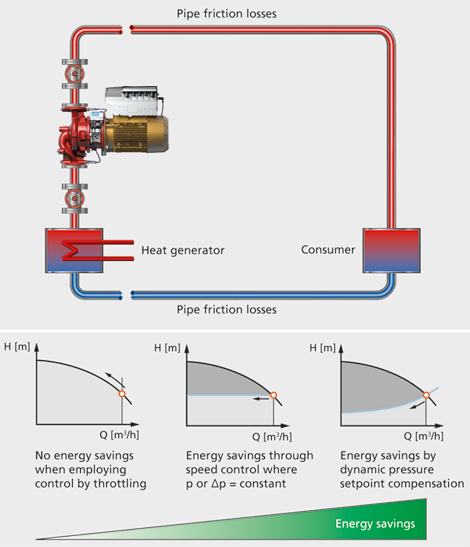 Saving energy with PumpDrive? PumpDrive continuously matches pump speed to system requirements. This ensures energy-efficient and reliable operation of the pumps. Speed control of pumps is highly recommended, especially for systems with fluctuating demand. 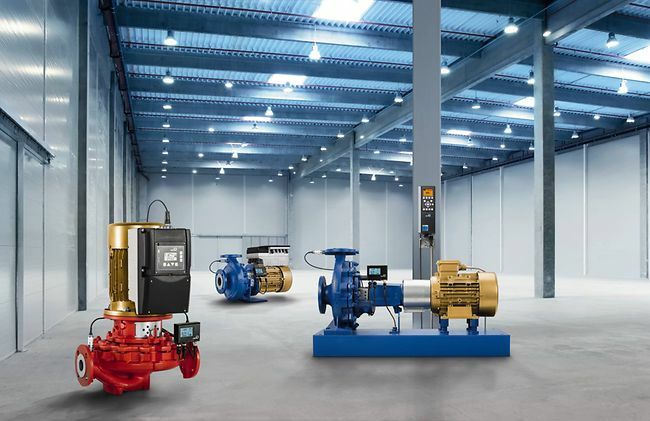 Demand-driven operation through speed control saves up to 60 percent on energy and increases both the efficiency and the availability of the pump. PumpDrive lowers energy costs and reduces the pump’s life cycle costs by controlling the pump input power. 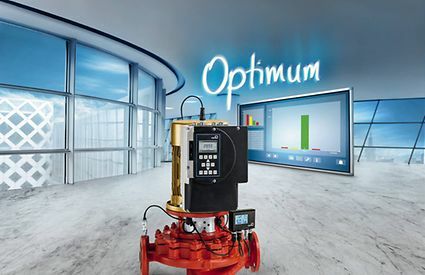 Maximum energy savings can be realised by combining PumpDrive with the PumpMeter pump monitoring unit and KSB SuPremE®, the world’s most efficient magnet-less pump motor. Etanorm PumpDrive 32-200/552. A demand-based reduction in the flow rate by just 30 % translates into savings of € 1,712/8,000 operating hours (at 12 cents/kWh). Reliable pump operation requires continuous monitoring of the installation. The pumps' operating status has to be checked frequently. PumpDrive therefore continuously records and processes values, readings and data to monitor the permissible operating range at all times and ensure system availability. PumpDrive monitors the pump’s characteristic curves and estimates the current operating point on the basis of the motor input power and the current speed. This, in turn, allows PumpDrive to detect operation outside the permissible range such as extremely low flow, dry running or overload conditions. Predefined settings allow messages to be output in the case of extremely low flow or overload conditions. Depending on the settings, the pump set is stopped, which protects pumps against failures and damage resulting from operation in an impermissible range. Continuous flow rate estimation is another essential PumpDrive feature. The flow rate is estimated on the basis of power measurement and the characteristic curve function. The estimated flow rate provides essential information for dynamic pressure compensation and other important functions. PumpDrive increases the availability of waste water pumps with functions designed to control speed in a targeted manner. This includes the flushing function, flow velocity monitoring and anti-contamination measures. Constant system pressure plays an important part in ensuring the availability and efficiency of pressure boosting pumps. The new PumpDrive integrates special functions that cater in particular to the special requirements in pressure boosting applications: the pipe filling mode and the sleep mode. Thanks to integrated dual pump management, the predefined setpoint for the system is ensured at all times by way of two identical pumps. A distinction is made between two operating modes. 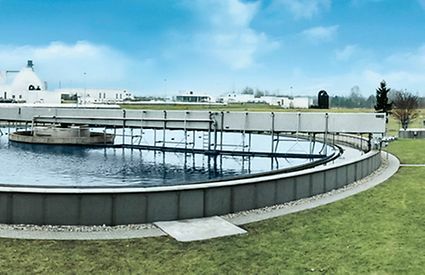 For every requirement and every application: With a broad range of ratings from 0.37 kW up to 110 kW (up to 1.4 MW available on request), PumpDrive provides for top levels of operating reliability and optimum efficiency in industrial applications much in the same way that the Eco design caters to building services applications. PumpDrive's flexibility is also reflected by its mounting options: the speed control system can be mounted to the wall, on the motor or in a control cabinet. The three mounting options allow PumpDrive to be positioned where you need it, meeting individual requirements and conditions on site. 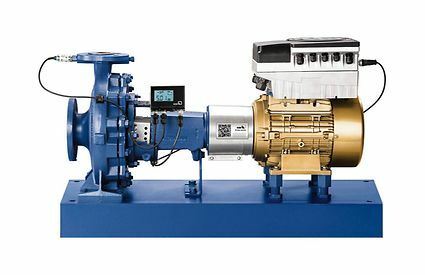 As the new PumpDrive has been perfectly matched to the motors of KSB pumps, it can be mounted directly on motors up to ratings of 55 kW. Benefit of motor mounting: retrofits eliminate the need for installation space in the control cabinet and the search for a suitable section of wall. Should the space in the control cabinet be restricted or motor mounting not be possible, wall mounting is an ideal alternative. Wall mounting allows the pump and PumpDrive to be arranged in the immediate vicinity of each other. As a third option, it can also be mounted in a control cabinet. If the pump is installed in a demanding environment, PumpDrive can be mounted in a control cabinet. Cabinet-mounted PumpDrives can be used up to ratings of 1.4 MW. Pump and PumpDrive parameters are factory-set. PumpDrive can be controlled via a smartphone display. 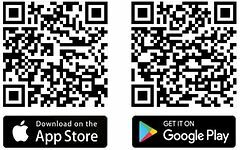 KSB's handy My PumpDrive app is available free of charge in English, French and German from the iTunes Store. Managing data records: Send parameter sets from your smartphone to PumpDrive, from PumpDrive to your smartphone, or per e-mail to your PC. The new PumpDrive is available in two configurations, each of which offers a different level of functionality. One of them is the fully equipped model for flexible applications and the exacting demands in industry. The second model, the Eco version, includes the full range of basic functions and is ideal for use in building services applications. With its different models, KSB supplies pump variable speed systems matched to the specific requirements. 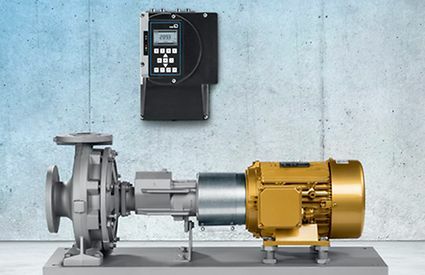 Would you like to know more about KSB’s PumpDrive? Contact us: it's quick and easy. 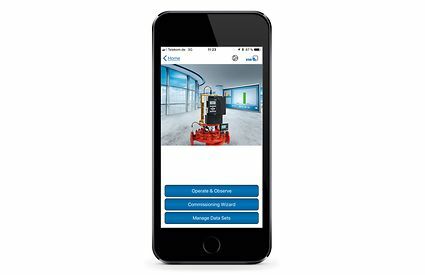 Simply control your variable speed system from your smartphone: with the handy app KSB Flow Manager.